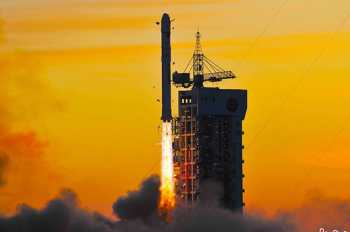 China launched four satellites to provide photographs to commercial clients while helping with harvest assessment, geological disaster prevention and resource surveys. The launch of the Jilin-1 mission took place at 04:13 UTC on Wednesday, using a Long March-2D launch vehicle from the 603 Launch Pad at the Jiuquan Satellite Launch Center’s LC43. The Jilin-1 mission was developed on the China’s Jilin Province and is the country’s first self-developed remote sensing satellite for commercial use. Jilin-1 consists of four satellites, one for high-definition images, one for testing new space technology and another two for video. Data will be provided to commercial clients to help them forecast and mitigate geological disasters, as well as shorten the time scale for the exploration of natural resources. The satellites were developed by the Chang Guang Satellite Technology Co., Ltd under the Changchun Institute of Optics, Fine Mechanics and Physics, Chinese Academy of Sciences. Jilin, one of the country’s oldest industrial bases, is developing its satellite industry as a new economic drive. The province plans to launch 60 satellites by 2020 and 138 by 2030. 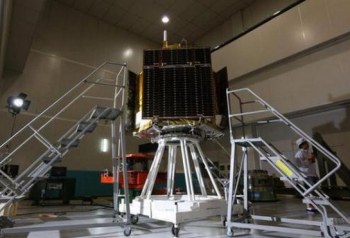 The first phase will see the launch of the first four Jilin-1 satellites. Between 2016 and 2019 there are plans to have 16 satellites in orbit, completing a remote sensing network that will cover the entire globe and will be capable of a three to four hours update in the data provided. From 2020, the plans point to a 60 satellite orbital constellation capable of a 30 minutes update in the data provided. From 2030 the Jilin constellation will have 138 satellites in orbit, forming a all-day, all-weather, full spectrum acquisition segment data and a capability of observing any global arbitrary point with a 10 minutes revisit capability, providing the world’s highest spatial resolution and time resolution space information products. The four satellites are Jilin-1, Lingqiao-A, Lingqiao-B and LQSat. Jilin 1 is a 420 kg high-definition optical satellite with a 0.72 m resolution pan-chromatic camera and 4 m resolution multi-spectral camera. It is equipped with three deployable solar panels for power generation that will be stored in internal batteries. The satellite will operate on a 656 km sun synchronous orbit. 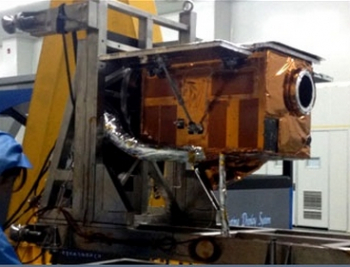 The Lingqiao-A and Lingqiao-B satellites are designed to capture videos with a 4K ultra-clear video resolution of 1.13 meters m on 4.3 x 2.4 km swaths. Weighing 95 kg each, its dimensions are 1.1 meter diameter and 1.2 length. The satellites are equipped with body mounted solar panels. 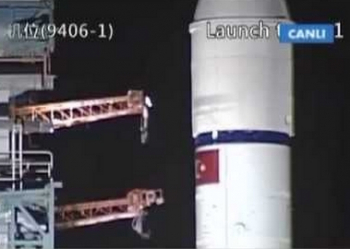 The satellites will operate on a 656 km sun synchronous orbit. LQSat is a micro-satellite for technology demonstration designed by CIOMP. Its main payload is a camera with 2 m resolution. LQSat is equipped with a fixed solar array for power generation. Satellite dimensions are 0.40 x 0.40 x 0.60 m and a mass of about 54 kg. The lifetime of LQSat is about 1 year. UHF downlink with 25 wpm CW and 4k8 CSP packet data using MSK at 27dBm, and also a 2.4GHz downlink at 30dBm using 1Mbps QPSK. This launch was the 226th Chinese orbital launch and the 213th launch of the Long March launch vehicle family. It was also the 80th orbital launch from the Jiuquan Satellite launch Center, the 3rd launch from this space center in 2015 and the 10th orbital launch for China this year. The development of CZ-2D was started in February 1990. From 2002, to meet the demand of SSO satellites, the payload fairing of 3350mm in diameter and attitude control engine for second stage have been successfully developed; and the discharge of remaining propellant and de-orbit of the second stage have been realized. This launcher is mainly used for launching LEO and SSO satellites. It is characterized with high reliability, wide application and mature technology. The CZ-2D can launch a 1,300 kg cargo in a 645 km SSO. The rocket is 41.056m long and the first, second stages and payload fairing are all 3.35m in diameter. Its first stage is the same of the CZ-4 Chang Zheng-4. The second stage is based on CZ-4 second stage with an improved equipment bay. Lift-off mass is 232,250 kg, total length 41,056 meters, diameter 3.35 meters and fairing length 6.983 meters. At launch it develops 2961.6kN engine thrust. The LC-43 launch complex, also known by South Launch Site (SLS) is equipped with two launch pads: 921 and 603. Launch pad 921 is used for the manned program for the launch of the Chang Zheng-2F launch vehicle (Shenzhou and Tiangong). The 603 launch pad is used for unmanned orbital launches by the Chang Zheng-2C, Chang Zheng-2D and Chang Zheng-4C launch vehicles.